hara gobi | Life's Conundrum - Eat to Live or Live to Eat? Life's Conundrum – Eat to Live or Live to Eat? Cauliflower is one of our favourite vegetables and it cooks fairly quickly. The following started off as an experiment and we are quite happy with the outcome so we thought we would share it with you. What do I need to make it? How do I make it? Use a pestle and mortar to grind the powder ingredients to semi fine consistency and keep aside. 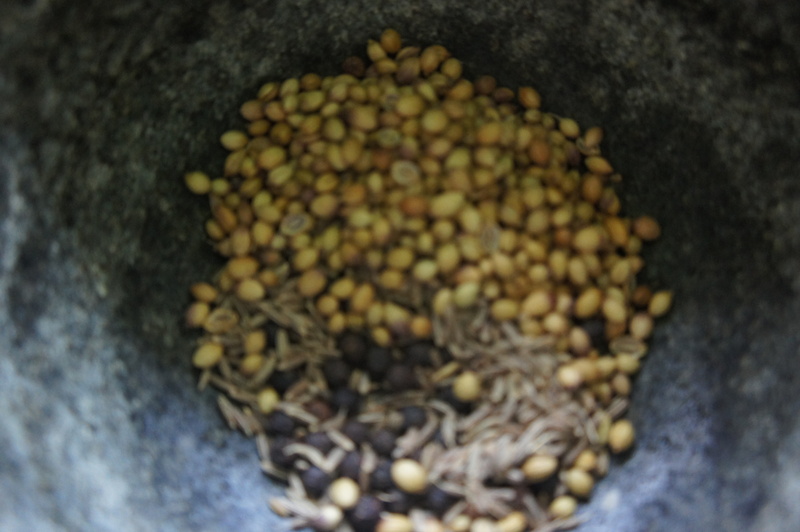 Next use the pestle and mortar to grind the paste ingredients to a coarse paste. 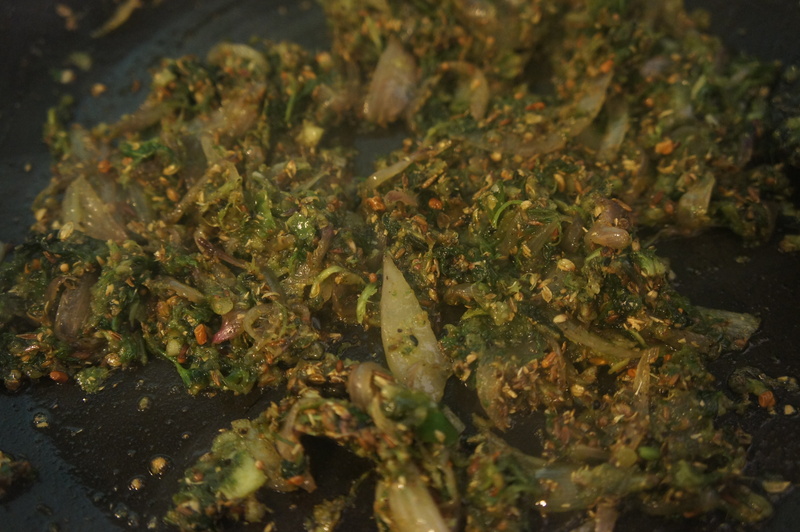 Heat ghee in a pan and add the panch phoran and asaefoetida – stir for a couple of minutes and then add sliced onions. Continue stirring on medium heat till onions turn golden brown – add the paste and continue cooking on medium heat for five minutes. 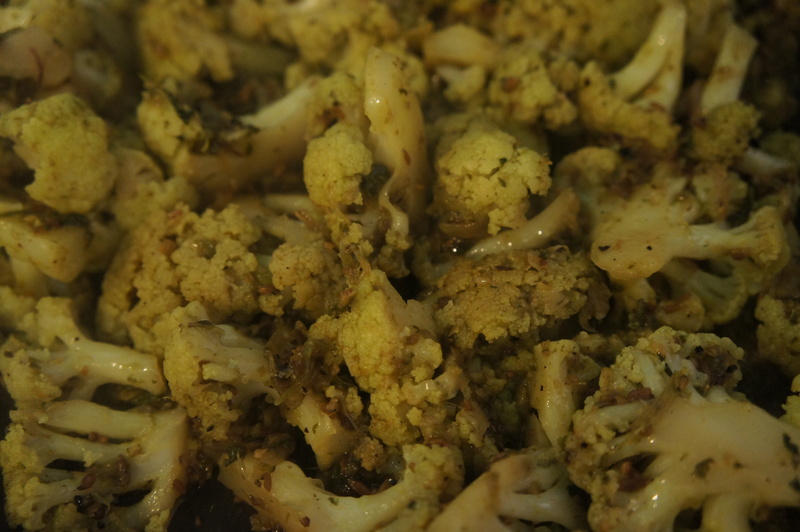 Add the spice and turmeric powder to the mixture, stir for a minute before adding the cauliflower florets. 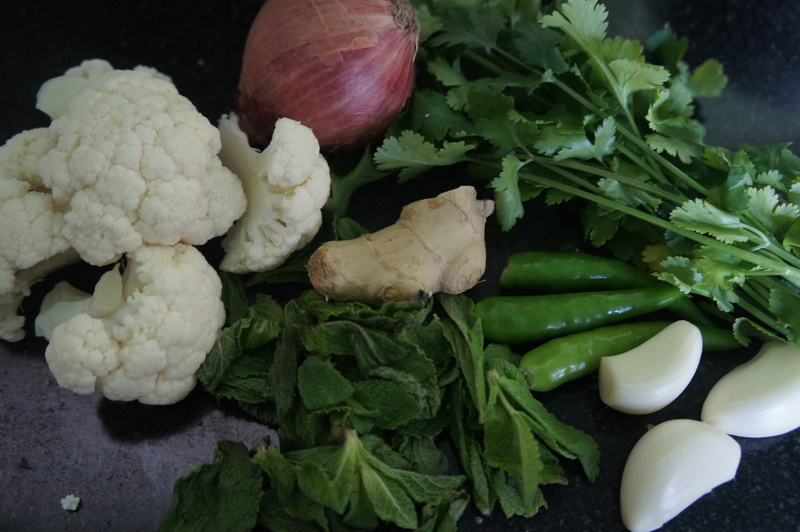 Sprinkle a 1/4 cup of water, cover and cook on a low heat till the cauliflower is done. Serve as a sided dish with Indian bread of choice.